We have lots of classes on offer for young children. Some of them are listed below, but if you can think of something else please just ask and we will see what we can do! Don’t forget to have a look at our ideas page for inspiration! We also offer cross-curricular dance in schools and this applies to the Nursery and Reception EYFS curriculum as well. If you have a theme you would us to enhance with dance please let us know. For more about Cross-curricular Dance please CLICK HERE. 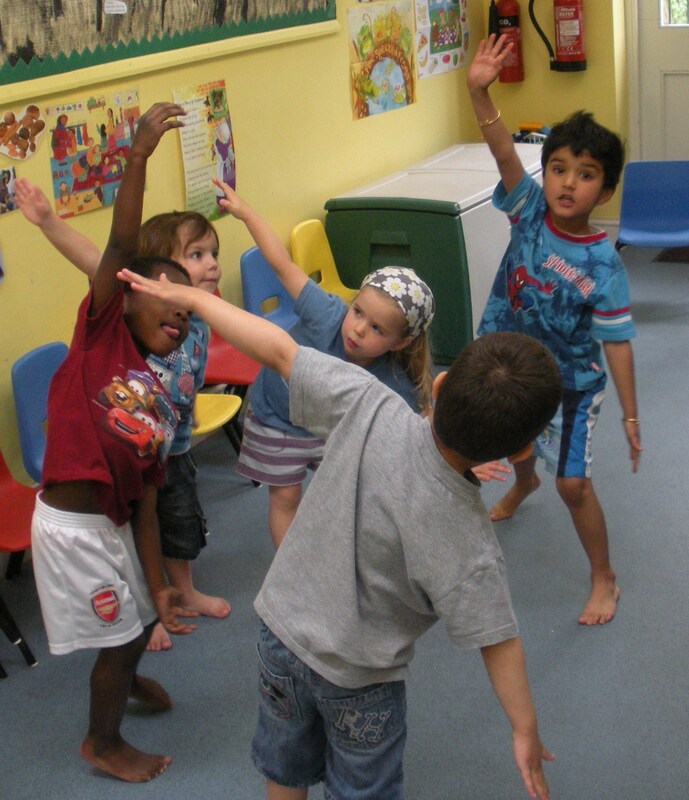 Creative Dance: Movement play and dance to help children explore how they can move. These classes include improvisation, games, taught dances and choreography and help develop imagination, and movement skills. Ball Skills: Experimenting with all sorts of balls, balloons and imaginary snowballs! This class especially improves hand eye coordination and balance. Ballet: Have fun learning basic ballet steps, improvising and pretending. This class especially improves coordination, musicality and balance. Story Telling: These classes use dance to explore stories and then tell them using movement as a form of expression. The sessions are especially beneficial to young children as they develop their imagination as well as their physical skills. The above classes are available for children aged 2 1/2 – 3 years without their parents or carers present, but staff:child ratios apply. TRS Tots: Any of the above classes, but for toddlers and their adults. Parent and child: Movement and dance classes for parents or carers and children aged 2-8. These sessions are great for bonding in families. Up to two children per adult.